I’ve said it before and I will say it again. Africa is the last frontier.The Continent has been the trade and investment location of choice for all of the BRICS nations several years now. Recently, Russia, a nation that has been largely absent from the scramble for Africa, has reared it’s head and is making moves. I am certain that this decision was prompted by recent US sanctions against Russia related to the situation in Crimea. In response to those sanctions, Russia suspended imports of meat, fish, fruit, vegetables and milk products from the United States, the 28-nation European Union, Norway, Canada and Australia for a year. This will cost these nations more than about $17.5 billion for the duration of the year long ban. Russia is now stepping up its search for partners to fill this void with suppliers in Latin America and Africa. According to Russia Times, “Russia held talks on creating a free trade zone with Egypt and countries in East Africa have said they are ready to triple or quadruple trade with Russia. “African suppliers have declared their readiness to supply Russia with up to 100,000 tons of fruit and vegetables per week, products that before were re-exported to Russia via the European Union,” Elena Nagornaya, president of the Russia-Africa trade alliance, told ITAR-TASS. 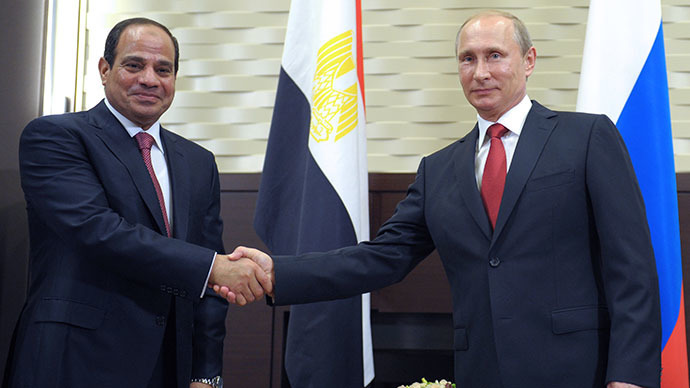 Egypt said it is ready to boost agricultural deliveries to Russia by 30 percent. The head of the Ministry of Agriculture of the Russian Federation, Nikolay Fedorov said this will close half of a possible deficit following Moscow’s ban on the import from some Western countries. In 2013, Egypt’s exports of agricultural products to Russia totaled $440 million, meanwhile in the first half of 2014, they have already supplied $460 million. Trade turnover between the two countries in 2013 amounted to $3 billion and more than doubled in the first half of this year to $2.5 billion from $1.2 billion in the same period of last year, according to ITAR-TASS estimates. I am optimistic about this opportunity. However, my concerns with Russia in Africa are the same as those with China in Africa. I want the business conducted to be mutually beneficial, not just for the companies involved but for the people of Africa.